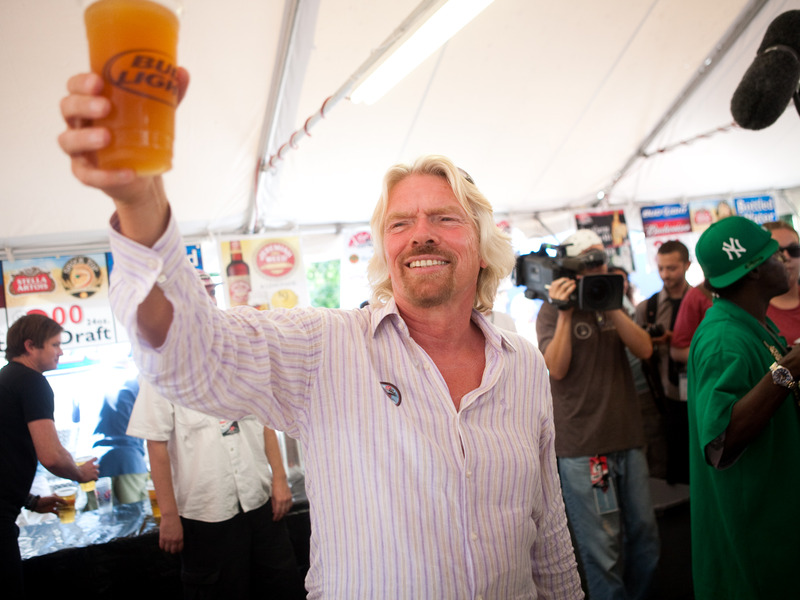 Former Formula 1 car investor Richard Branson once “peed” on a fan by accident. The Virgin Group owner said he had “drank too much,” was “having a pee in the toilet,” and was asked for an autograph. Without thinking, he turned to face the fan and “left his mark all the way down” the fan’s trousers. Virgin Group owner and former Formula 1 investor Richard Branson once urinated on a fan by accident. The incident occured at the start of the 2009 Formula 1 season, after Branson bailed out a F1 team that included renowned racing drivers Jenson Button and Rubens Barrichello. According to Branson, if it had not been for his investment, Brawn GP would not have been able to attend the Australian F1 GP in March 2009 because of financial constraints. Branson provided the funds. By the end of the Grand Prix, Button had won the race while Barrichello placed second behind him. Branson admits he “drank too much” in celebration – and the events that led to him peeing on a fan. In an interview with Graham Bensinger for In Depth with Graham Bensinger, he says: “I was jet-lagged. I drank too much. “I was celebrating this big victory and I was having a pee in the toilet in a cubicle, and somebody came and asked for my autograph. And I’m told that I just turned around, signed, and left my mark all the way down his trousers. 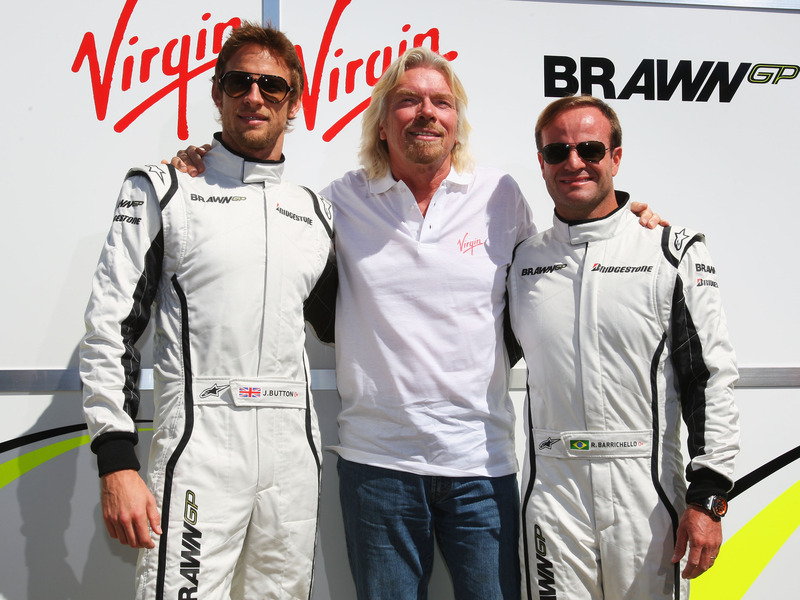 Getty ImagesJenson Button, Richard Branson, and Rubens Barrichello. He added that he gave up drinking for six months after that night. 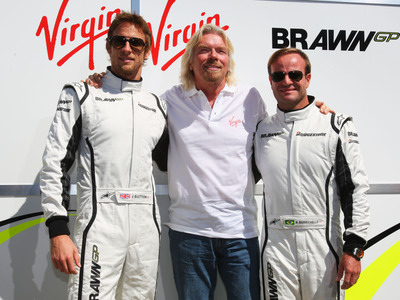 On how he bailed out Brawn GP, Branson said: “I got a call a week before the first Formula 1 race of the season and was told a team involving Jenson Button and Rubens Barrichello was effectively going bust, Honda were pulling out, and they wouldn’t afford to get to Australia. “I rang a friend of my son who was driving one of the cars and he said it was the best car ever. So I rang them back and said I’d give a little bit of money if they put Virgin on the car throughout the season.